The city of Tempe, Arizona has recently amended some of its fire codes regulations to enable them to be at par with the 2006 international fire code laws. Specifically, when it comes to the new Tempe, Arizona fire codes and how they pertain to exit devices, below are some of the most notable amendments which have been enacted, thanks to tempelocksmithpros.com. The whole of section 1008 of the new city of Tempe fire codes primarily dwell on the recommended features and functions of exit doors, gate and turnstiles. To begin with, a floor elevation is mandatorily on either side of the exit door, both featuring a similar elevation height. Nonetheless, there are several exceptions to this guideline. For instance, exit doors that serve dwelling units in group R-1 and R-2 buildings (hotels and residential units with 2 sleeping units respectively) are not affected by this law. In such buildings, an exit door is allowed to open at the topmost step of an interior flight of stairs. That is as long as this exit door can swing easily over the topmost step of such a flight of stairs. 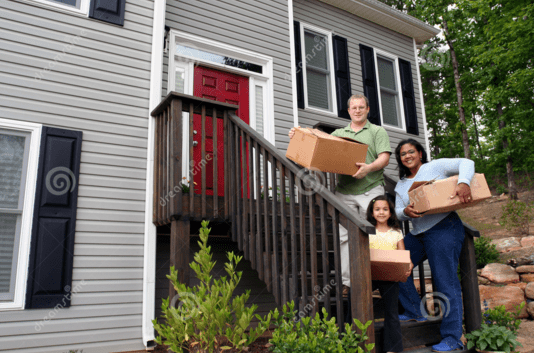 Additionally, in such buildings, storm door and screen doors are also permissible if they can swing over the stairs or landing. Houses with external decks, patios or even balconies are also excluded from this given guideline of the Tempe, Arizona fire codes rule. Most especially if they are features of a type B (lowest building fire hazard level). In such units, an impervious surface, which is less than 4” beneath the finished floor level of an adjacent interior area is allowable. That is as long as the exit door (excluding storm or screen doors) doesn’t swing over the landing when opened. Section 1008. of the new city of Tempe, Arizona fire codes dwells on the locks and latches that can be equipped to exit devices. According to this regulation, locks and latches are permissible when they can be in a position of preventing the operations of such devices in the following circumstances. First of all, buildings that are used for correction or detention of convicts such as jails or penitentiaries. Buildings which are categorized as occupancy group A (moderate fire hazard level) with occupancy of three hundred or below. Group B, F, M and S (moderate to lowest risk of fire hazards) and also places of worship like churches. In the latter category, these kinds of building are allowed by the new guidelines to be fitted with key lockable exit devices, which are positioned on the egress side. On the other hand, in the cases where egress doors happen to be utilized in pairs, approved automatic flush bolts are also permissible. That is as long as the given door leaf that bears the automatic flush bolts does not come with a door knob or any surface mounted hardware. At the same time, group R, division 3 occupancy as well as individual dwelling units and guestrooms are also mentioned by the new Tempe, Arizona fire codes. The exit doors of these given buildings are now required by the law to be fitted with night latches, keyed deadbolts or even security chains. The only stipulation for equipping the exit doors with these devices is that they can be conveniently from the interior part of the building without having to use a tool. The section 1024 of the amended city of Tempe, Arizona fire codes, for the most part, offers guidelines on the right exit discharges building ought to have. Such exit discharges should offer a direct and unobstructed access to a public way. In the event where this is not possible, a safe dispersal region must be allocated on such properties. This dispersal region should be able to accommodate not less than five square feet for each individual in the event of a fire outbreak. At the same time, it should also be located within the same property, and not more than fifty feet away from the building, which might need egress. Finally, such a dispersal region should come with a safe and unobstructed path from the building in question. When and why Should A Business Change Or Rekey Their Locks? To any business owner, the security of the business premises is paramount. No matter the size of the business, whether a big corporation mid-sized or even a small stall, it is imperative to ensure that security is maintained at all times. Particularly, the physical security of a business is always a great deal. It is therefore very important to put in place measures that will ensure that the business is always secure. When a business acquires new premises that were previously occupied by another business, it is always important to have the locks rekeyed or replaced. This is because, although the previous business owners have moved, they might still have access to the premises through the keys that might still be in their possession. Many people rarely understand the importance of changing the locks or rekeying. A business should not start operating before the locks have been changed. The business is usually vulnerable to attacks as not all former tenants might be trustworthy. Rekeying or changing locks is therefore very important for newly occupied premises. It is therefore always recommended that a business owner ensures that the locks are replaced or rekeyed to exclude any possibility of any of the former business owners gaining entry into the premises. This is actually the very first activity that business owners should handle to ensure that the premise is secure for their business. In the event that the business is attacked by burglars, it is important to replace the keys or rekey. 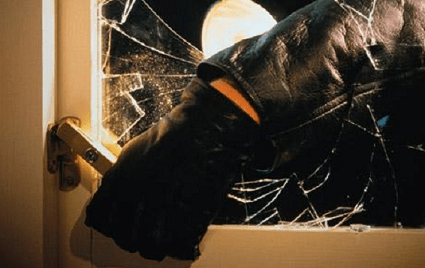 This ensures that the burglars’ chances of accessing a business premise are nullified. The burglars might have some inside information about the security of the place which might be the reason as to why they have chosen that particular business. Any business that has been robbed or was a victim of a suspected foiled robbery, it is important that the owners have the locks rekeyed or replaced. This will exclude any chance that the robbers might have of accessing entry into a building. There are many common cases of break-in robbers getting assistance from the company workers. To avoid this, the company should replace or rekey the locks in the event of such happenings. This is especially common when employers are laid off forcefully. Most of these disgruntled employees are usually willing to do anything to get back at their former bosses. There have been many cases of attempted arson by many former employees to various companies. It is therefore important to replace or rekey the locks especially in the event that the company has laid off a large number of employees. For business premises that constantly deal with risky commodities like money or precious stones, it is also recommended that the company replaces the locks or have them rekeyed after sometime. The argument behind this is that with time, the security measures are bound to be relaxed for the workers in such companies. It is therefore always important the security is beefed up every now and then. The above are some of the many reasons as to when a business should consider changing or rekeying their locks. The simple act of replacing the locks could go a long way in saving the owner of the premises millions in the event that the robbers gain access. When selecting the locksmith to work on the locks, it is also important that the business owners are careful on who they choose. A good locksmith is the one that can be trusted to offer good security to a business premise. The locksmith should be able to maintain a professional code of conduct that ensures that the security details of a client’s house or business remain confidential. It is therefore recommended that one carries out some background check on the locksmith before hiring them. This will give you a sense of what kind of services to expect. It is very painful to experience a greater loss of your commercial property. Despite the pain, most commercial property owners are negligent of security of their property. Many think that having a CCTV camera and a security guard is enough, but that is not true. Commercial property security goes far beyond that. You need a complete security system for your property and make use of all the necessary details to ascertain their property is fully covered. This article presents ways one can implement to keep their commercial property secure with thanks to lakeoswegolocksmith.net. Another security feature that is very necessary. Security personnel may be insignificant to some people, but they play a very important security role. Nature, location, and type of property will determine the number of security personnel to hire. Security personnel will protect both your property and your employees. If there is something never to be ignored on your property is an insurance cover. Covering your property with an insurance cover a wise idea and gives one confident over their property. There are different insurance packages that can completely secure your property. You require a general liability cover, workers compensation cover – for your employees and commercial property cover. It is not a great deal covering your property comprehensively as compared to losing it all at once and no compensation. The type of security system one takes to keep their property safe should be tailored to meet certain needs. However, the property type will also dictate the security system to be installed. Besides, it is essential to have fire alarms, burglar alarms and video surveillance on your property. These devices will work to alert you in the case of fire or any other abnormality. 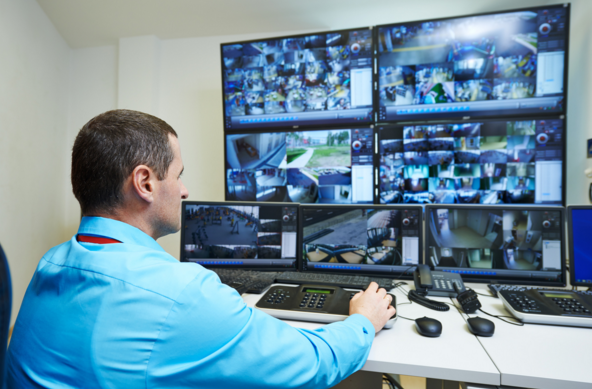 Other security apparatus that will enhance your commercial property security include; DVRs/NVRs, surveillance monitoring equipment, and security cameras. You must write down all the security policies applicable to your property. Regardless of the size and type of property, you have to document these policies and measures well so that everyone can review them at ease. They should also be easily understandable. Make sure persons working on your property and external clients/customers understand these security policies. This will prevent misinterpretation of the how and why your property should be secured. Data is very sensitive and need to be well covered and protected. Commercial property is accompanied with very sensitive data that need to be handled properly. Regardless of whether the data is hand-written or in electronic form, it should not be ignored. Every data in paper form should be stored in a fireproof safe. You also need to have a comprehensive network security and ensure that all your data is backed up to a remote storage away from the property premises. Putting up a large fence around your property is quite significant. However, a large fence can be visually unattractive and create a disturbing environment to customers. 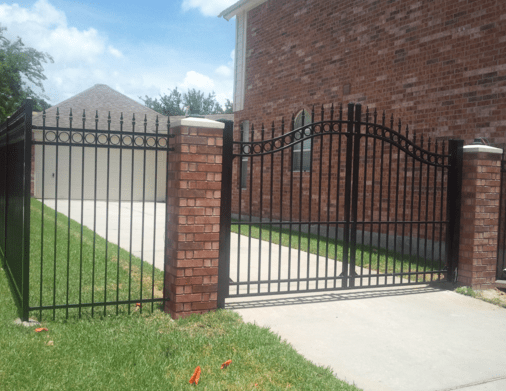 Your fencing should both offer maximum security to your property, and it should make it eye-appealing too. The fence should be able to keep intruders away and at the same time allow good visibility of your premises. It is essential to provide maximum visibility of your property more so at night. You might wonder how will light provide security to your property but if you have a good lighting system, you will be able to monitor your property at ease. Outside lights and power sources need to be covered with vandal-proof covers. All the entry points into your property premises need to be well lit including gates, windows, and doors. Equipping your property with standard locks is a good security measure but installing electronic access system gives you maximum property protection. This will ensure your property is secure even when an intruder tampers with the external security systems like doors and windows. Employees man every property. The best form of security is the one earned by winning the trust of your employees. Even if you get the best system that have the most advanced technology in the world and fail to coordinate your employees who manage your property, you will have security issues. The best thing to do is to create a culture of safety and responsibility and make sure employees understand its significance. Their coordination and ability to take security responsibility of your property will ease your work. For most people, security is placed at the highest priority when choosing door locks for their homes, followed by price and overall appearance. Selecting the most effective door locks for your doors depends on whether a door is interior or exterior, as a result of every form of door needs fully totally different lockup mechanisms. Hence, it’d not be appropriate to put a bar on a toilet door or a push-button privacy lock set on a front entry door. However, before we get into that, let’s first acquire additional knowledge concerning door locks and let us learn which of them are the sturdiest, brought to you by PortlandLocksmithPros.com. The National Standards Institute (ANSI) coined 3 types of door lock grades to assist determine the standard and sturdiness of lock sets and deadbolts. Every product should pass operational and security tests, together with cycles, door strikes and weight take a look at. One cycle consists of the knob or handle turning fully to retract the latch bolt and open the door, then it’s discharged, permitting the door to re-latch. ANSI Grade one is that the best option for exterior residential door locks. This is the highest grade security on the market. 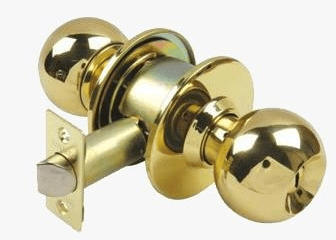 It meets industrial building needs and is available for residential uses via deadbolts. There don’t seem to be commonplace knobs, handle sets or mortise lock set that may meet ANSI Grade one certifications, solely industrial lever handles. strikes and a 360 pound weight. Meets light-weight industrial building necessities; exceeds commonplace residential security and building requirements. Solely meets residential building needs and provides for the least residential security. What Kind of Door Lock is Right for your Home? Considering the different types of exit devices available and as a part of a physical security arrangement for the everyday home, install Grade one (ANSI designation) bolt sort locks on all exterior doors, all doors between connected garages and also the living areas, and any exterior man-door on a garage, connected or detached. 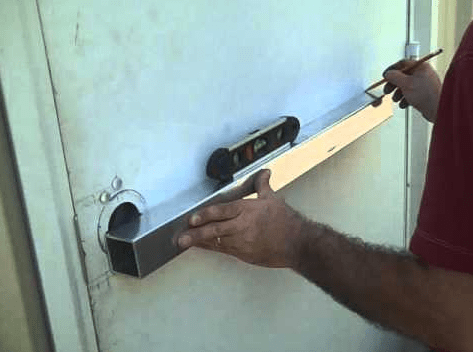 What quite Door Locks Do Building Codes Require? Locks on exterior doors measures what the public perceives once considering upgrading the security of their homes. Many people assume that their area building codes need a minimum level of quality and security for the door locks that must be placed on their homes. The very fact is most building codes do not even need a lock on exterior doors, how much more for a minimum level of quality. This places the choice of the door lock on the house owner or on his or her contractor. Most contractors aren’t “lock experts” and that they choose the low valued locks. That leaves it to the house owner to either settle for the lock their contractor provides them or to pick one themselves. The house owner will build an improved choice knowing what he really wants. When making a choice for door locks, decide it from the burglar’s perspective. Burglars do better when making an entry through a door being fast and simple. However, studies have shown that an honest quality lock could be a deterrent. On an interview made on intruders, they would all say that seeing a sturdy deadbolt installed on a front door usually make them back off. • Walking directly through an unlock door. • Beating the door till they give way. • Using a bar to spread the door. • Employing a power tool. • Intruders can usually try to pry off the lock employing pipe wrenches or pliers. Security for our family and properties are of utmost concern, when choosing for the different types of exit devices available in the market. The above guideline maybe of big help. An emergency does not knock and wait for permission to enter. Instead, it will get you unaware. Having realized this, everyone is on the high end trying to find most suitable ways of dealing with emergencies. Continued research and innovation has bored fruits in the recent past with the manufacture of panic bars, occasionally referred to as exit device, panic device, crash bar or push bar. These devices are installed on house, office or any other place with doors to aid in quick unlocking during emergencies. It is a legal requirement to have such devices in places where many people meet. The bar is metallic and spring loaded usually fixed on the inside of a door that opens to the outside. The lever on this device allows the door to open easily when pressed. This allows immediate and quick evacuation in case of an emergency. Since it is inevitable to have your public building pass inspection without emergency exit devices, you are left with no choice but have them installed. However, you also do not want to fail the inspection test because of poor brands installed on your doors. In this article, with some useful information provided by the guys at RentonLocksmith.net, we are going to progress on to look at some of the best brands of emergency exit devices on the market you can use for your doors. Dummy trim, exit only, night-latch-key retract, knob, night latch operational pull, lever-06 standard and thumb piece. Door thickness should be 1’. “ for standard doors, 2’, 2’. ¼ “ for wood and metal doors. Finishes include both SP28 and SP313 for sprayed aluminum and sprayed dark bronze respectively. 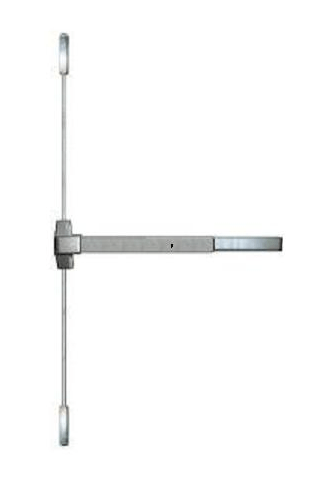 Von Duprin vertical surface series 2227 device is used to provide a very good exit strategy when the door is locked from the outside. 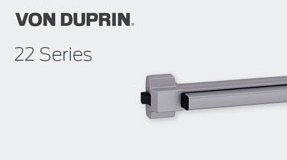 For over 100 years, von Duprin has produced this device in seven different finish colors to match most of the décor peole want. It has features similar to those listed for von Duprin 22 rim device. On the return stroke, a fluid damper is introduced to decelerate it and eliminate the noise that comes with a good number of exit devices. Finish include satin chrome, anodized aluminum, duranodic dark bronze, satin bronze, satin brass, bright brass, satin nickel, bright chrome and black. Taco is also another top brand on the market that has been known to supply solutions to access control for over 45 years. Its devices include Taco VR531 Vertical Panic Exit Device, Taco VR531 Vertical Panic Exit Device, Taco ED301 Reversible Rim Type Cross bar Exit Device and Taco VR331 Series Reversible Vertical Type Exit Device. The entire taco brand devices are easy to install with most fitted with an alarm kit. Detex is another top brand producer for exit devices. The company produces quality and super heavy-duty fire and panic exit hardware. 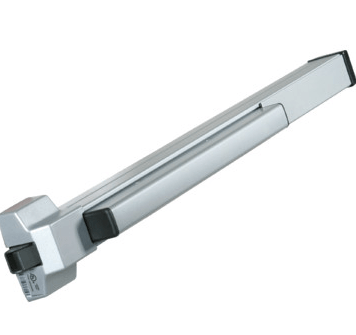 Detex has specialized in production of single and double door exit device. A mounting plate and a system used to locate strike are available to ensure you install the device in a very accurate way. Another top brand is falcon. They produce clean appearing exit devices with a variety of styling and practical features. To attain durability and lightweight at the same time, the company uses aluminum push bars and levers. Adams rite devices are are also known for production of clean, ease to install and durable constructions of exit devices for both emergency and security purposes. Every little component of an infrastructure, regardless of use, is crucial. The smallest piece of nut may hold together the most used parts of a train, and one nail can make a huge difference in sustaining the strength of a wooden home’s flooring. No matter the size, each part should be chosen with care and meticulous consideration of quality and durability. Safety should always be at the forefront when putting up, operating, and maintaining any infrastructure, especially when talking about public buildings. Throughout history, there have been countless disasters that turned public theatre houses into living hells, where people, young and old, were unfortunately unable to escape. Many offices and buildings did not provide an easy way out for its dwellers during emergencies because they were too busy installing locks and security systems to prevent robbery. Panic and confusion strike most during these times, and an uncooperative exit door can only make the situation worse. GreshamLocksmith.org walks us through some important information. 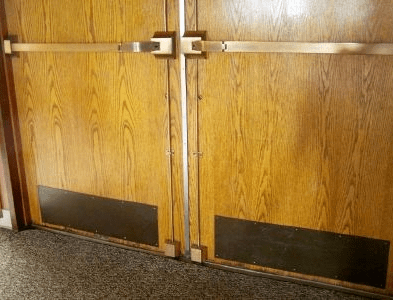 What is an Exit Door Push Bar? There are many types of locks and security mechanisms that are used in buildings and edifices today. From the most mechanical to the most advanced and digital locks, technology has allowed humankind to experiment on what works best for their specific needs. History and experience have taught people that, while securing their premises from unauthorized access is important, it is equally fundamental to provide an easy, unobstructed exit for when the building is occupied. An exit door push bar is also called a panic bar. From its name, a panic bar is meant to allow for easy access during times of panic. Oftentimes, and based on common logic, panic bars are tools used to open locked doors from within a building. Additionally, most of these exit door push bars can be seen in commercial places where a relatively huge volume of traffic is expected to come in and out of the premises. How does an exit door push bar work? Exit door push bars, regardless of type and size, work similarly. They are opened by pushing the horizontal metal bar. Modern push bars are dual purpose—they are easy to open from the inside, and they can be programmed to lock automatically as they are closed. This mechanism is made possible by the use of a loaded spring inside the bar. Push bars can also be used in usual entryways without the hassle of having to push the bar from inside each time a person wants to enter the premises. A handle on the opposite side that can be pulled is the only thing that needs to be added. Of course, the latch on the push bar must be retained open. – Without a properly working exit door push bar, your building and safety permits will not be granted. – An exit door push bar is a make or break in saving people’s lives during emergencies. It will define how easily people will be able to leave the premises in cases of fire, earthquakes, and other calamities. – Getting a low-quality push bar will not only mean danger, but will also equate to additional maintenance and repair costs in the future. This can also lead to being fully non-functional. When this happens, you can lose your building permits and put your employees at risk. 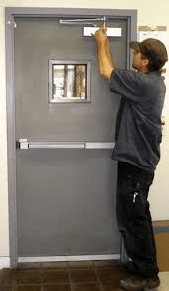 – A faulty exit door push bar may mean that your building or commercial space is unsecured, and can be accessed by intruders anytime. Depending on the size and type of door, as well as the nature of the premises where it will be used, different push bars can be purchased from reliable security product companies. For all conditions, only the most trustworthy security product solutions provider should be contacted if you want to protect your business well. It is never worth it to save on cheap and low-quality push bars in exchange of your employees’ safety, nor is it wise to entrust a building’s security equipment to fly-by-night or undependable companies. These companies are in charge of providing and installing the equipment, which means they are knowledgeable in accessing, maintaining, and at some point, breaking into them. In the end, push bars and all other security tools and equipment should only come from reliable experts who will value your business’s security and safety like you do. 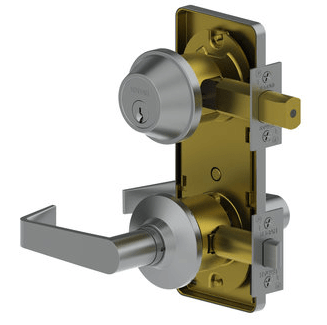 We asked around Tacoma to find the best commercial door lock services we could and everyone kept pointing us in the direction of the Tacoma Locksmith Pros. We spoke with them and found them to be a very stand up company with a great work history for exit device and push bar installations. Here is there information and contacts if you are in need of exit device services in the Tacoma, WA area. Many people prefer living in a more secure and safe environment. One of the best ways to ensure that you stay in a safe and secure environment is to make sure that you look for a more reliable locksmith. There are very many locksmith companies around the globe and therefore, it is very important to consider some factors such as professionalism, expertise and experience when looking for good locksmith. We teamed up with the people over at highlandsranchlocksmith.com to create this great piece of information for you. So, what services do Locksmiths provide? There are numerous services that are provided by locksmiths. They range from residential locksmith services, auto-locksmith services, commercial locksmith services as well as emergency locksmith services. The services are available at all times including the public holidays and even at night. Locksmith experts are well trained to offer their services in a professional manner to ensure customer satisfaction. Locksmith services are very critical in residential area for providing enough security at homes. The locksmith security experts are trained to handle and install high quality locks to doors, windows, safes, cabinets, cupboards, suitcases, drawers and many other domestic equipments. 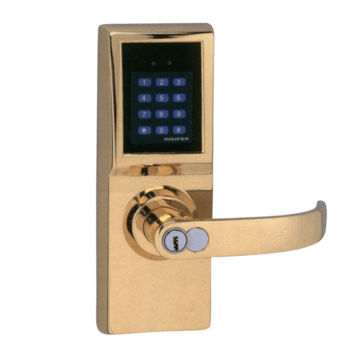 Moreover, the locksmiths provide other services such as installation of advanced electronic security equipments. The technicians are highly equipped with necessary knowledge on any kind residential security problems. They also take time to study and understand the security situation of the local area and they provide those services based on the needs of the residential area. Other than the residential services, locksmiths do offer commercial services too. These services are specific and unique to individual institutions. The most common institutions that require these unique service include; hotels, private institutions, libraries, banks, government departments, colleges, schools, departmental stores, hospitals, security agencies and other commercial institutions that might require the locksmith companies. Every person on earth might have faced or will face an emergency situation in his or her life. Emergency situations vary from one to another and therefore the level of professional attendance might also differ. Locksmiths have personnel that are able to handle any emergency situation whenever they are called upon to do so. They respond on time to ensure that the danger is eliminated or reduced to the lowest level possible. Some companies also provide mobile services to their customers therefore, bringing the services to wherever their clients are. You only need to call them and they will be able to reach you on time and safe you from any danger that you could be facing. Auto locksmith services revolves around the safety of the car and other issues that can be connected with car safety. The auto locksmith experts provide services such as key replacement and/or rekeying if the car key is lost. The transponder Computer is used by the locksmiths when replacing the car key to ensure that any chances of flawlessness is reduced. 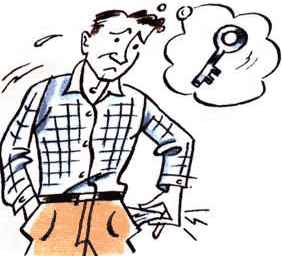 You cannot compare the numerous benefits of the locksmith services with the minimal costs that you incur to get them. Locksmiths ensures that the security of the family, property, vehicle and business is taken care of . With a guaranteed security, one is able to have a peace of mind and concentrate on other important issues that can help the whole society.